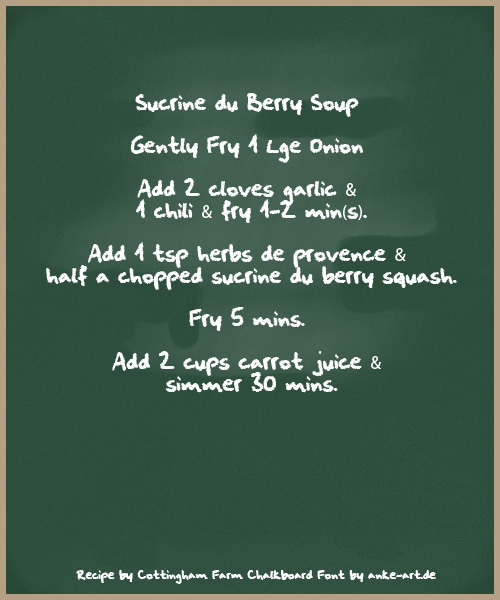 Sucrine du Berry Soup Gently Fry 1 Lge Onion Add 2 cloves garlic & 1 chili & fry 1-2 min(s). Add 1 tsp herbs de provence & half a chopped sucrine du berry squash. Fry 5 mins. Add 2 cups carrot juice & simmer 30 mins.